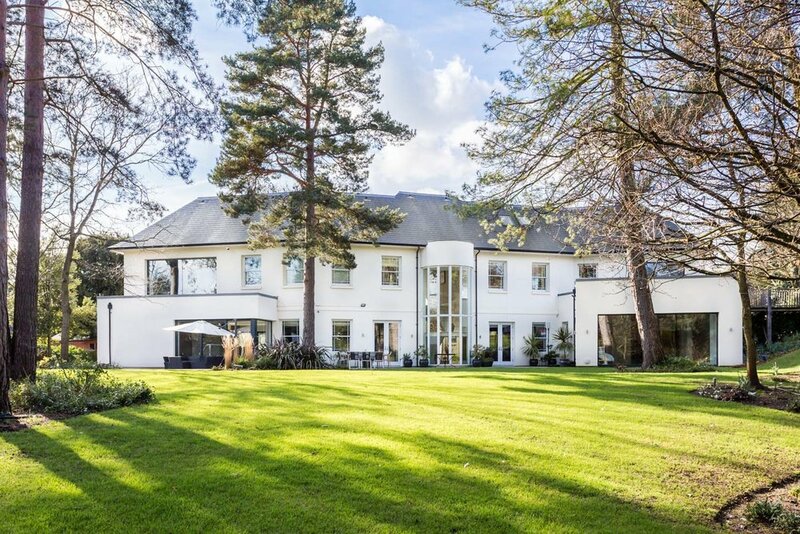 A distinctive 9 bedroom family home of 9,074 ft² (843m²) built to high specifications with terrific light and space set in 1 acre landscaped gardens on the Coombe Estate. Self contained staff accommodation, pool complex and cinema room. Short walk to Rokeby, Holy Cross and Marymount International schools. Golf Club Drive is conveniently located close to Kingston and New Malden town centres with their excellent shopping facilities, as is the A3 trunk road offering fast access to central London and both Gatwick and Heathrow airports via the M25 motorway network. The nearest train station at Norbiton is within walking distance and provides frequent services to Waterloo with its underground links to points throughout the city. The immediate area offers a wide range of recreational facilities including three golf courses, tennis and squash clubs. The 2,360 acres of Richmond Park, area of outstanding beauty easily accessed from Kingston Gate and Ladderstile Gate, provide a picturesque setting in which to picnic, go horse riding, jogging or just take a leisurely walk. Theatres at Wimbledon and Richmond are also popular alternatives to the West End. There are numerous excellent local schools for all ages, private, state, and a variety of international educational establishments many within walking distance, such as Marymount International School for girls, Rokeby School for Boys, Holy Cross prep for Girls and Coombe Hill infants and juniors along Coombe Lane West. Amberwood Court was designed and built to the current owners very high specifications set behind electric gates and situated within matures grounds of one acre. 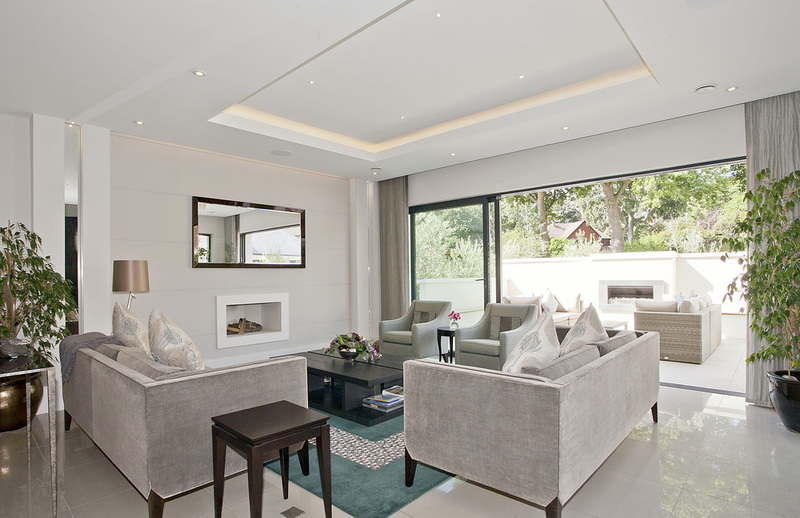 The luxurious accommodation is arranged over three floors in a private setting with floor to ceiling to windows and sliding glass doors opening onto the gardens drawing the aspect and light into the house. 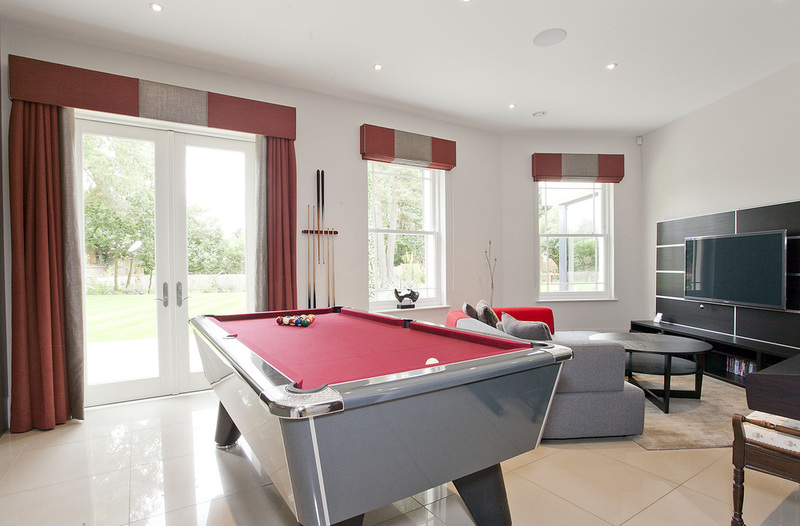 The open plan ground floor accommodation is perfect for modern family life and entertaining. For relaxation, the property offers an 11.25 metre indoor swimming pool with a sauna and spa pool. On the first floor the master bedroom is sumptuous with a wide dressing room and en suite bathroom and floor to ceiling windows overlooking the fabulous gardens. 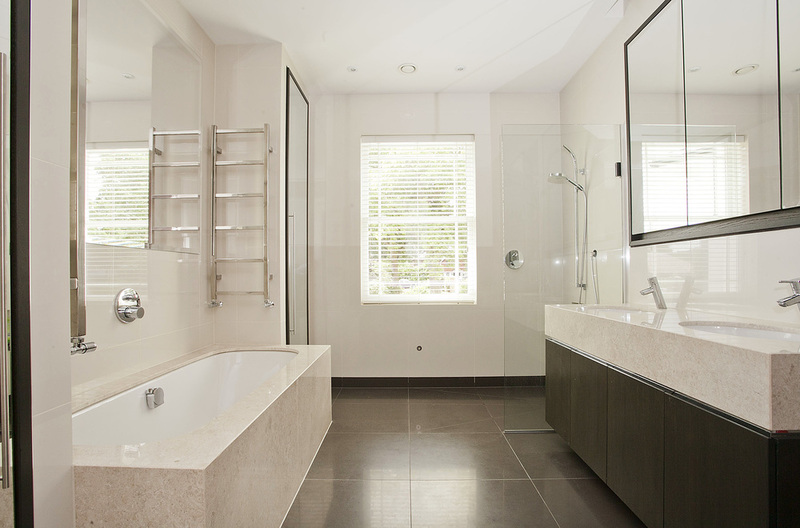 There are five/six further double bedrooms and three bath/shower rooms, one of which is en suite. Also on this floor is accommodation for staff consisting of a bedroom with en suite bathroom and a sitting room with kitchen area, with a secondary staircase leading to the ground and second floors. On the second floor there are two further two double bedrooms, a shower room and a further bedroom/games room. Throughout the house, particularly on the second floor, there are useful extensive storage spaces. The landscaped rear gardens are approximately one acre and is largely laid with flat lawns, interspersed with mature trees and boarded with a large terrace which is accessed from the dining room. To the side there is a raised lawn which is ideal for a children's play area and in front of the house is a walled patio with an open air gas fire. There is ample parking on the driveway to the front of the house and there is an integral double garage.